Wolf + Lamb - Zev, the wolf, and Gadi, the lamb - whether assuming the roles of production duo, DJ team, or label owners, Zev and Gadi have written every page of their story with wit, ingenuity, warmth, and good old Brooklyn swagger. Strong-willed and staunchly independent, the two believe that the only way forward is to follow the beat of your own inner drum, no matter where it takes you. ‘Versus’, Zev and Gadi’s follow-up LP, reveals them at their most people friendly. Rhodes-drenched, Berry Gordy sunshine vibes are in full effect throughout. The seven tracks on ‘Versus’ exemplify a cross-pollination of genres, a true testament to the duo. 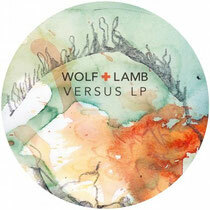 Wolf + Lamb’s debut album was released in 2010 and planted the duo on the map. Critical praise from everyone from The Guardian to the cover of DJ mag ensued as the world embraced their novel concept. The W+L partnership consists of a DJ duo, production outfit, family of labels and New York City venue, the Marcy Hotel, a space that functions as a recording studio, a home to their free thinking artists and sporadically, a nightclub. Since then they have continued to share their time between Berlin, Miami and New York, habitually locked in sessions at their shifting studio space with their adopted musical family. The results of these sessions have been building towards their full follow up, scheduled for early 2013. It’s out October 22.